Audi R8 GTR is the name of ABT Sportsline’s latest creation, a model based on the R8 V10 which gets both styling and performance tweaks. At the exterior, the German tuner provides new front and rear aprons, side skirts, a new hood, front grille and rear wing. 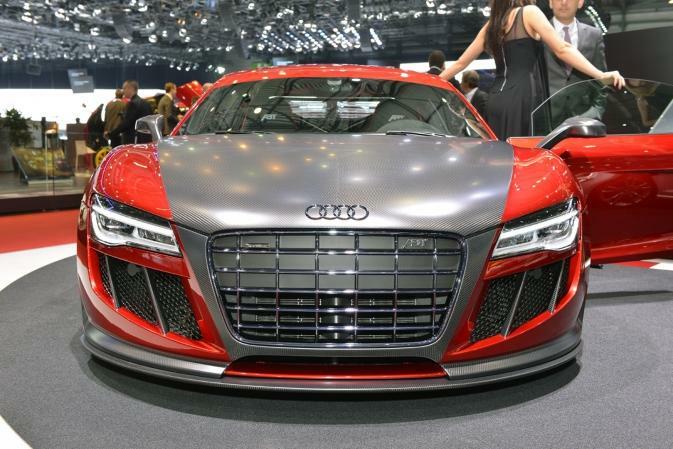 All these components are made of carbon fiber and complete the two-color exterior scheme with the red exterior finish. ABT also provides new 19-inch alloy wheels in the same dark finish alongside red brake calipers. 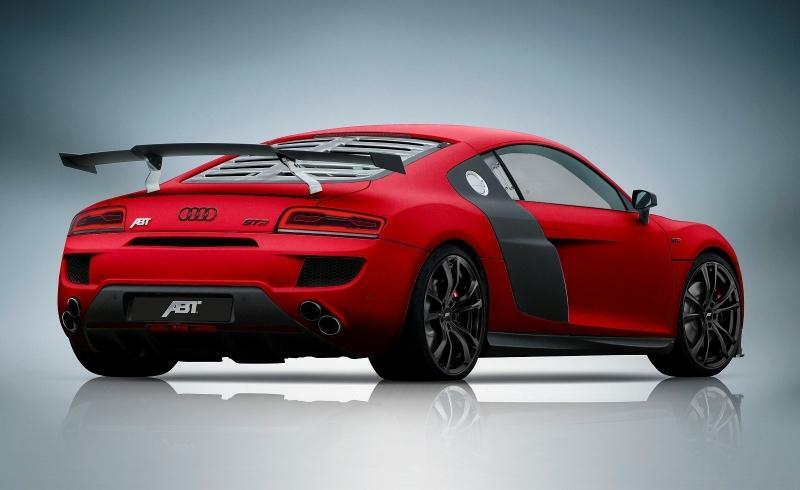 Power is provided by a revised 5.2-liter V10 engine producing 620 horsepower and 550Nm of torque. This makes the 0-100 km/h sprint possible in 3,2 seconds with a top speed of 325 km/h. With 70hp in addition to the stock model and with a lower total mass of 1,515 kilograms, the new Audi R8 GTR is certainly a nice appearance, even Audi offers several V8 and V10 versions of the German sports car.